Labuan is hailed as a food paradise for its mouth watering variety of delicious delights. Major hotels are adorned with gourmet restaurants. As a financial island, Labuan offers a number of restaurants that serve International foods, Continental food, Fusion food, as well as Japanese Cuisine can be relished during a visit here. Authentic Malaysian fare which consists of Malay, Chinese and Indian food is also well worth trying. For a new experience, try the local hawker-style fare at open food courts where dishes are freshly prepared upon order. 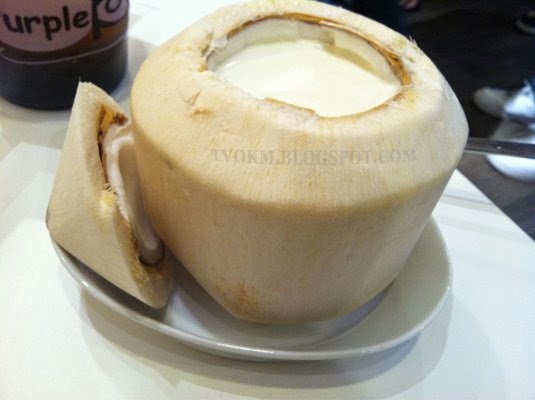 The most Renowned local dessert is "Coconut Pudding", which is unique to Labuan. Good coconut puddings can be found in most of the restaurant in Labuan. You may also want to try various local kuih - pastries or cakes - in the weekend market known locally as Pasar Tani (Saturday and Sunday) from morning till afternoon. Kelupis and Lamban (a food made from pulut rice and coconut milk that been wrapped by either coconut leaves for Lamban or Nyirik leaf for Kelupis). Jelurut (a sweet and creamy colored local kuih wrapped with nipah or coconut leaf). Punjung, made from rice flour, that are little cone-sized desserts with green jelly-like fillings wrapped in banana leaves. Pulut Panggang, made from dried shrimp and glutinous rice that wrapped by banana leaves and grilled. Ambuyat is also known as Linut where a local delicacy in Brunei that derived from the interior trunk of the sago palm. It is starchy bland substance, similiar to tapioca starch.